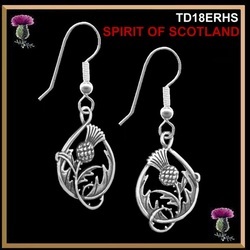 The thistle has long been the emblem of Scotland and this beautifully detailed pendant and ear rings showcases the beauty of Celtic tradition and its fine artisan craftsmanship. Beautifully handcrafted from fine sterling silver, 10K or 14K gold, this thistle design is double sided. See the pictures below. Measurements: 1" by 3/4" (25mm x 19mm). Our beautiful double sided thistle pendant is available in sterling silver, 10K or 14K gold. The sterling silver pendant includes and 18" chain. In karat gold the chain is not included. 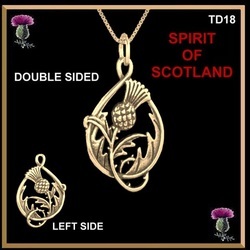 Our beautiful double sided thistle pendant is available in sterling silver, 10K or 14K gold. With the Sheppard's hook, the overall length is 2" (51mm). 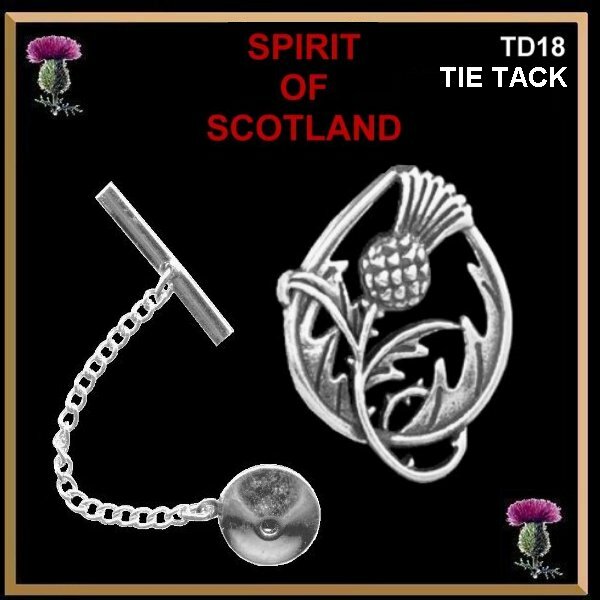 This is our most popular thistle design. 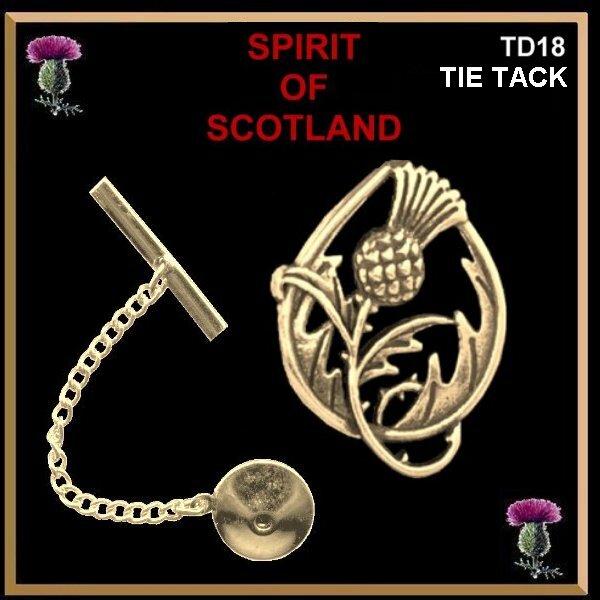 The thistle has long been the emblem of Scotland and this beautifully detailed solid gold tie tack showcases the beauty of Celtic tradition and its fine artisan craftsmanship.